Something big coming to Google Store on this date: Is it Pixel 3a series? Search engine giant Google has confirmed to announce something new, most probably an Android phone in May first week, which also co-insides with Google I/O 2019 event. Since the beginning of 2019, we have witnessed a barrage of leaks revealing key features of the Google's unreleased Pixel 3a and the Pixel 3a XL and now, the devices may break covers officially next month. Search engine giant has revamped the Google Store with upcoming Hollywood Marvel movie Avengers: Endgame theme-based dark screen background purple 'G' and a message – Help is on the way. On 7 May, something big is coming to the Pixel Universe' hinting the company may launch the new Pixel 3a series. It can be noted that the US website shows May 7 as the D-Day and in eastern parts of the world, the date is May 8. Also, the date co-insides with Google I/O 2019 (May 7-9); it is slated to be held at Shoreline Amphitheatre, in the backyard of the company's Mountain View, California campus. Going by the tangible evidences in the form of live images of the Pixel 3a and the Pixel 3a XL in the recent past, it looks to be a repeat of 2018 for Google, wherein all the key details and photo samples of the flagship Pixel 3 and the 3 XL were leaked weeks before the official launch in October. 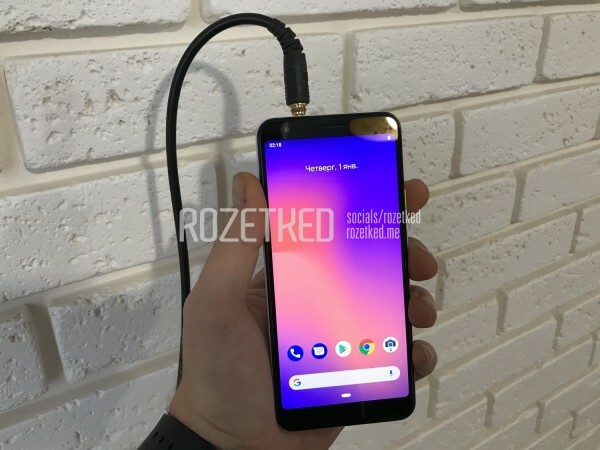 The generic Pixel 3a model is said to sport a 5.6-inch OLED screen with 2220x1080p resolution having 440 ppi (pixels per inch) display density. Under-the-hood, it will come with Qualcomm Snapdragon 670 chipset with 4GB RAM and a 3,000mAh battery, which is enough to keep the phone running for a full day under mixed usage. Whereas the bigger Pixel 3a XL will flaunt a 6.0-inch OLED display with 2160x108p resolution and 4GB RAM. We are expected to get more information in the coming days. Both will be run Android 9 Pie OS software. Word on the street is that Google is already testing the Pixel 3a and the Pixel 3a XL in India. Both the devices were imported from the US for around $300 (approx. €267/Rs 20,884) and $350 (around €/312/Rs 24,364), respectively hinting the official pricing will be around the same range at least in India.